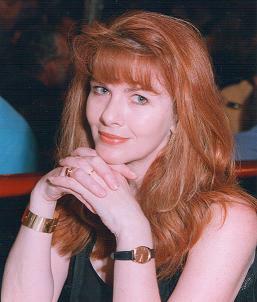 Day By Day Writer is thrilled to have debut author Fiona Ingram on the blog today. 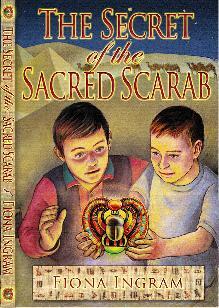 Fiona’s book The Secret of the Sacred Scarab tells the story of two boys who, during a trip to Egypt, stumble upon a 5,000-year-old mystery. The middle-grade novel was a finalist in the 2009 USA Next Generation Indie Book Awards and the USA National Best Books 2009 Awards. The book is the first in Ingram’s The Chronicles of Stone series. Fiona has a competition on her website for fans to win a copy of the Sacred Scarab for their school or library. The first chapter of the book is available here, and there’s more about the Chronicles of Stone here. Developing a children’s series is both rewarding and taxing for the author, and possibly gratefully welcomed by parents whose children suddenly discover a hero they can relate to and whose actions keep them riveted. Isn’t it wonderful when your child begs, nay, commands you to go out and buy the next in a favorite series because they ‘absolutely have to know’ what is going to happen next? There are many children’s series on the market currently and perhaps many adults are reading them as well as their children. Developing a children’s series is not an exact science and not a guaranteed road to writing success. Sometimes an author will start out with an idea, and try to stretch the story over several books, but to no avail. They discover that when a story is done … it’s done! On the other hand, an author may find that the story takes off and grows into something that spills over the last two words (“The End”) and shapes itself into another and then another and then another book, before winding down to a great final climax. Yet another scenario is when the author creates a set of characters that have several adventures, each one clearly contained with a storyline. The characters have a particular history or set of circumstances to retain the familiarity for readers. Readers keep coming back for more action. Can a writer tell if the story has the potential for a series? The plot will evolve naturally if the characters are appealing, and if their personal growth and development hold the readers’ attention. Again, appealing characters are not worth anything if the action and conflict are not compelling. There has to be a perfect marriage between plot and characters to sustain the strength of a series. So why do children love an exciting series? A gifted author will be able to create characters that readers can relate to and either love or hate. The readers get to know the characters well as the action evolves and, as each book comes out, can explore something new about their heroes. Characters become friends to the avid young reader, who shares in the hopes, dreams and choices the character makes. Readers are amazingly loyal to their favorite characters, even though they may often disagree with the character’s choices. A good writer can explore these further, enabling readers to begin to make their own choices, especially in a moral dilemma or emotional conflict. Parents who make the time to read with their children, or who are interested in their children’s book choices, will be able to discuss these issues further. It’s a great way of dealing with ‘sticky’ issues because the discussion is less focused on the child and more on a fictional character. It may be easier for a child to express an opinion if discussing a topic via a character’s choices. Perhaps writers shouldn’t set out to ‘create’ a series but rather let an original good story develop, allowing the characters and plot potential to determine the end result. Thanks for an excellent post and sharing some great advice on writing a series. I especially agree that good characters do become friends of young readers and they can become very emotionally involved with a series because of it. My children have always loved series, even just trilogies. Perhaps the characters feel more real because their lives go on past a short time period. We see them grow and change. Thanks for your guest post and comment, Fiona. That’s interesting to see that the series came after the book.